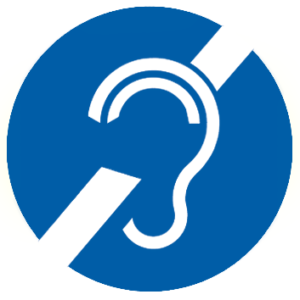 The Saratoga Civic Theatre is equipped with a Hearing Loop system, which can be used by hearing aids and implants that are equipped with a T switch. Alternatively, headset devices that amplify all stage sounds are available free-of-charge at the box office window. Please be prepared to leave either your driver’s license or a major credit card at the Box Office, in exchange for the device. Don’t worry, we’ll return it to you at show’s end, once the headset is returned. Many of our patrons arrive in wheelchairs or using walkers, and we welcome them all. Once you are shown to your seat, ushers will tag your walker or wheelchair and store it in the lobby—and then retrieve it for you at intermission or when the show concludes. 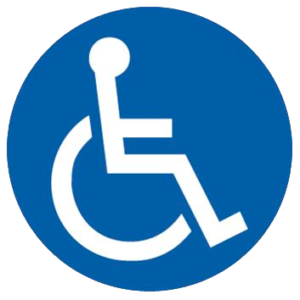 If you are wheelchair bound and cannot transfer to a standard seat, please notify the box office when you buy your ticket (or when you arrive) and we will remove a standard seat to make a place for your chair in the front row. Contact Us! Saratoga Civic Theater has an excellent air conditioning system designed to keep actors cool when they are performing under hot lights and in heavy costumes. Unfortunately, that means audience members can sometimes feel chilly. 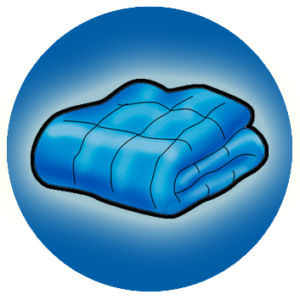 If you’re the person in your family who likes to crank up the thermostat, just visit our Concession Stand and ask to borrow a free blanket. Available on a first-come, first-served basis, these blankets are popular, so come to your show early!